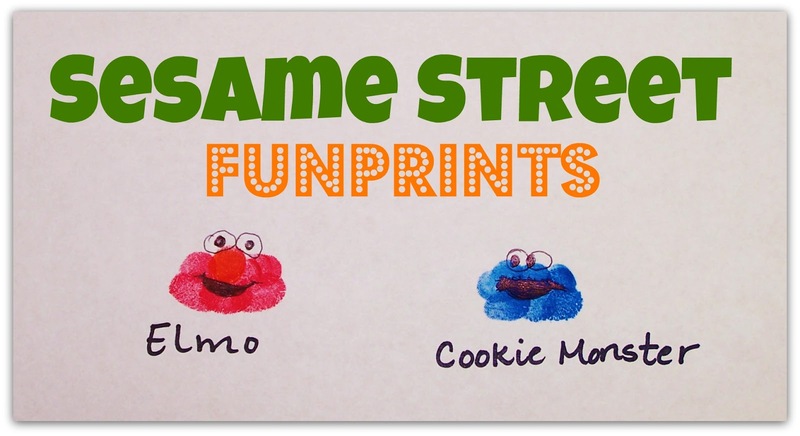 I have been thinking for days now about how easy it would be to make some funprint "Sesame Street" characters. 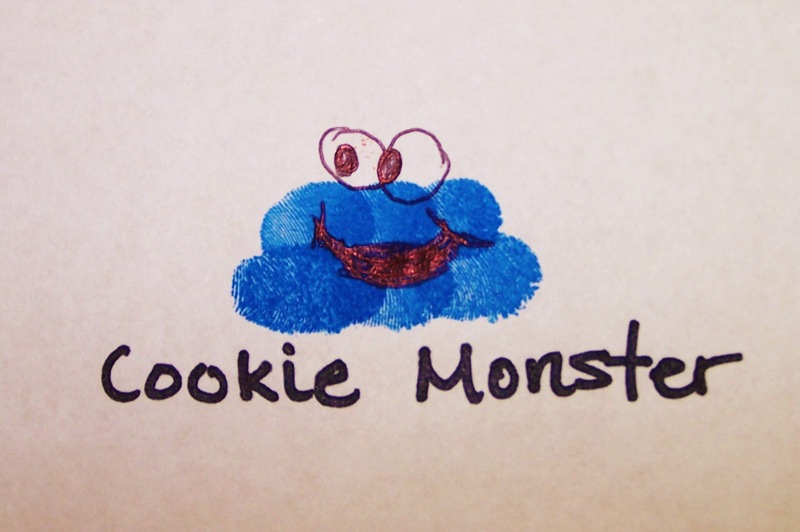 Of course, I had to start off with Elmo and Cookie Monster. Do three horizontal fingerprints on bottom row. On the top row, just do two on the side and an orange fingertip print in the middle for the nose. Then draw on the eyes and mouth and you are done. Do 2 rows of three horizontal fingerprints on top of each other. Just make the top row a little smaller than the bottom on the sides. 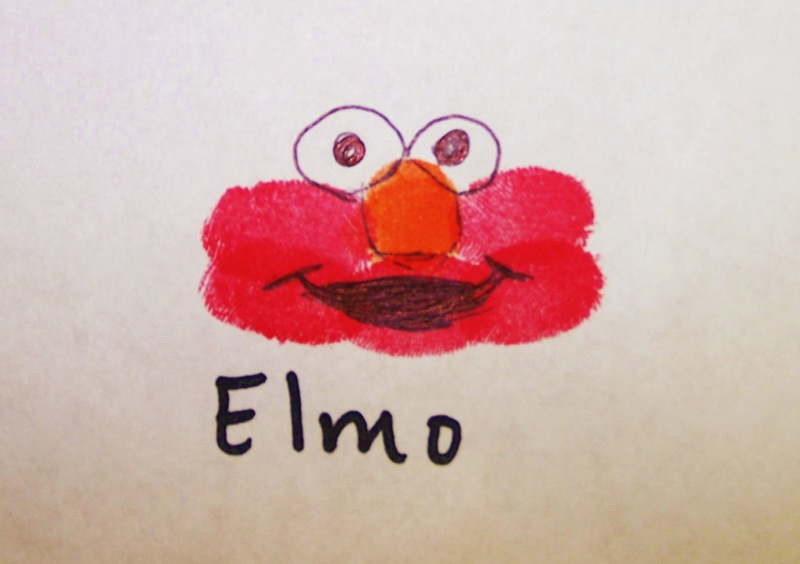 Then just draw on the mouth and eyes. Easy peasy! Thanks. I will link it up.